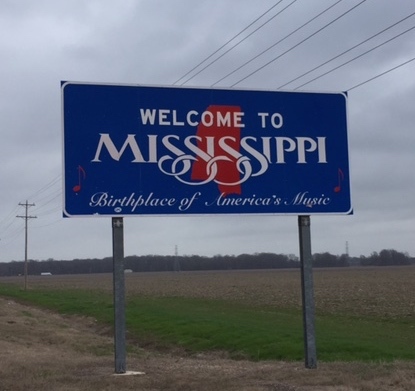 My latest running adventure took me to Greenville, Mississippi for the Mississippi River Half Marathon. (There was also a full marathon.) This was the first time I ran a point-to-point race that started in one state and finished in another. 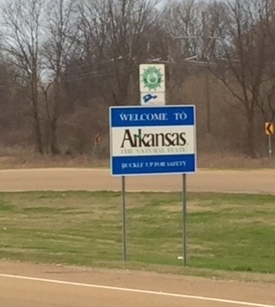 The Mississippi River race started in Arkansas and finished in Mississippi. You might be thinking I was able to cross off two states with this race. The rules for the 50 States Endurance Challenge only allow you to count it for one, either the state where the race starts or the one where it ends. I plan to return next year for the Mississippi Blues Half in Jackson so I counted this for my Arkansas race. The closest airport to Greenville is in Memphis. I flew into Memphis, rented a car and drove down US Rt 61, the Mississippi Blues Highway. The road took me past Clarksdale, home of the Delta Blues Museum. 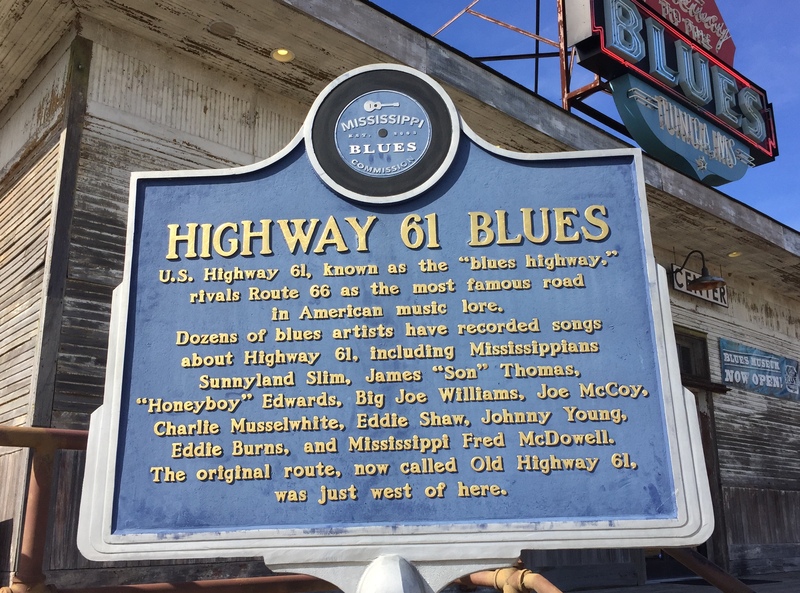 If you are a Mississippi Delta Blues fan, Clarksdale should be on your list of places to visit. Unfortunately, I didn’t have time to stop and visit the museum but I definitely would like to go back. Most runners I know look for races with courses that are a flat as possible. Of all the races I have run, this race course is the flattest. The only “hill” on the course is the Greenville Bridge, the start line for the half marathon and the halfway point for the full marathon. 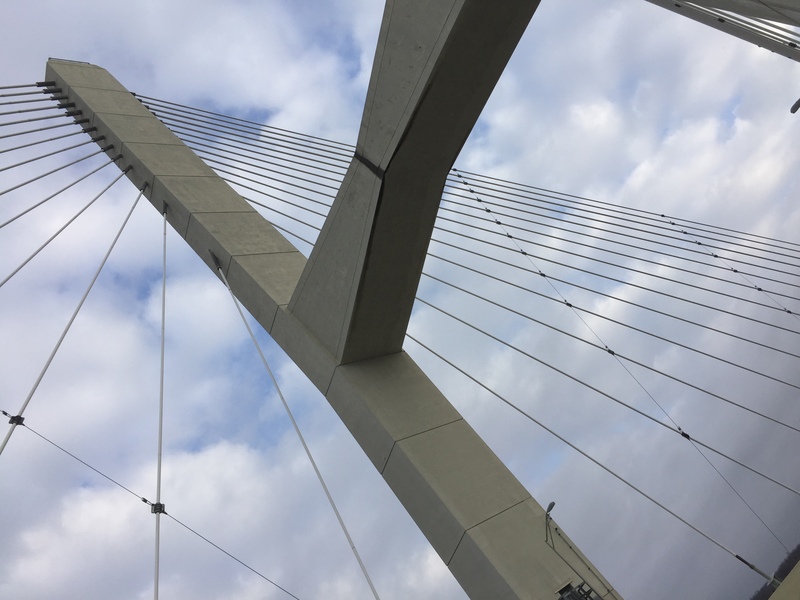 The Greenville Bridge is an impressive cable-stayed bridge that opened in 2010. While we waited for the half marathon to start, runners busied themselves by taking selfies with the bridge towers in the background. It is a beautiful structure. In one of those “It’s a Small World” moments, I bumped into Colin Wright on the bridge before the race. Colin writes the Canapeel blog and participated on the running bloggers panel with me in Tulsa, Oklahoma last November at the Route 66 Marathon Expo. We were pleasantly surprised to see each other again. He was as engaging and happy as I remembered. 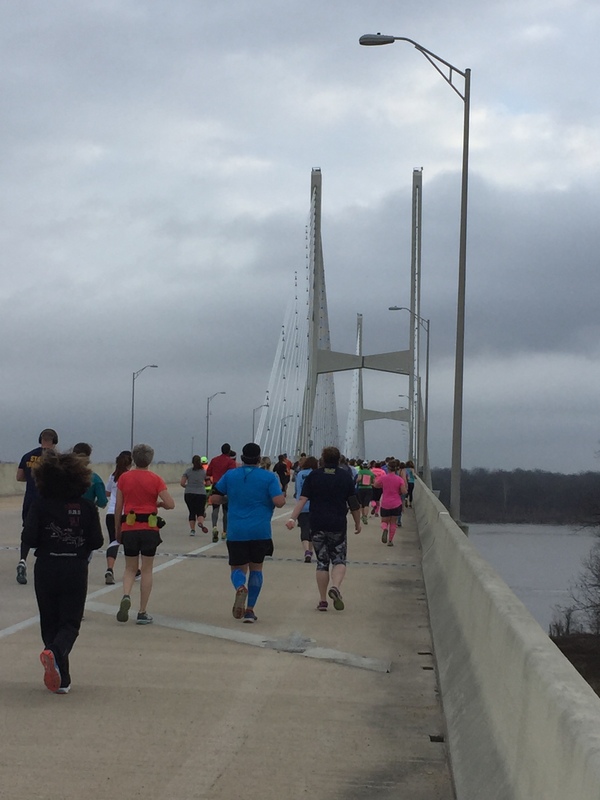 When the race started, we crossed the bridge over the iconic Mississippi River. It was early in the morning and very peaceful to see the sun peaking through the clouds above the river. I expected to see barges or other boats on the river but there weren’t any, just birds enjoying the water. Although rain was predicted for race day, it never rained but boy, was it humid. I don’t do well in humidity. Fortunately, there were plenty of water stops manned by very friendly volunteers who kept the runners both hydrated and entertained. 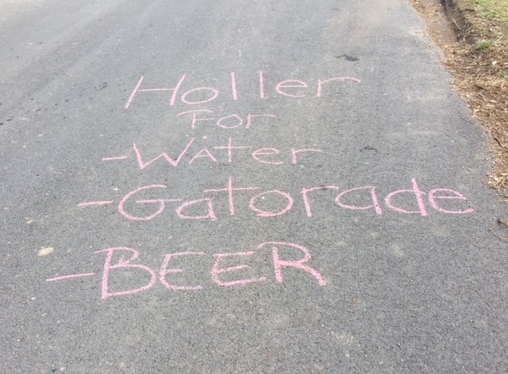 In addition to the “official” water stops, there were plenty of the unofficial kind. Continuing the Southern hospitality that I experienced in Jackson, people living along the course were handing out treats like donuts, cupcakes, water, Gatorade, and beer. In the finishers tent, they had an impressive spread of post-race food — bananas, oranges, donuts, chips, pizza, water, soft drinks, and beer. Plus they had massage therapists giving runners seated massages. I am a huge fan of small races like this because they treat runners very well. Two thumbs up for this one! 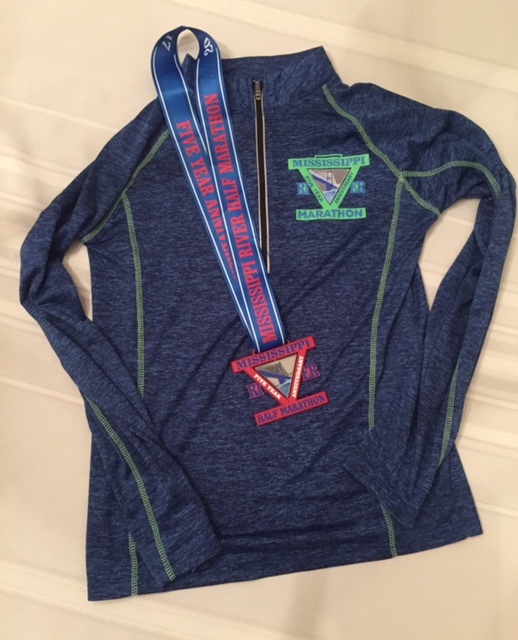 Love the bling – the center of the medal spins! I headed back to my hotel to clean up then drove back to Memphis. It was time for the adventure part of the weekend. 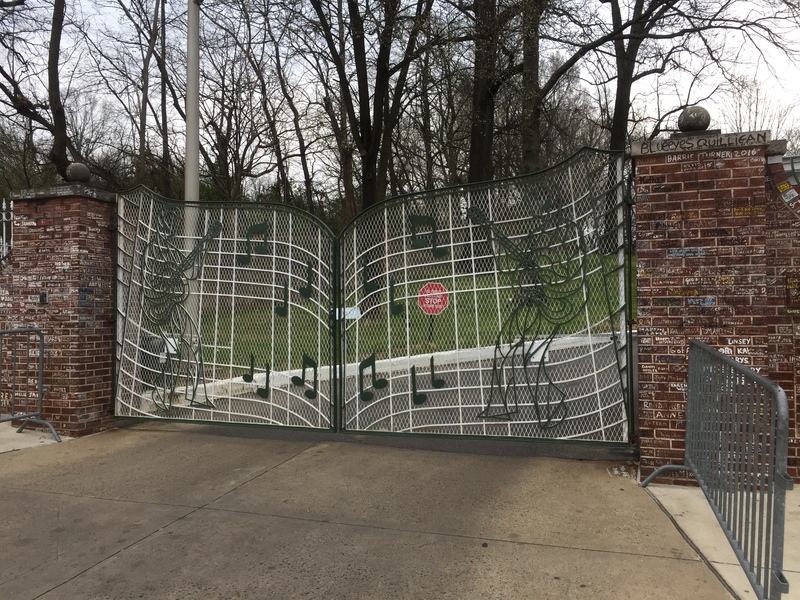 I visited Graceland, the home of Elvis Presley. Although I am not a big fan of his music, I wanted to see this landmark everyone raves about, particularly the Meditation Garden where he is buried. It was interesting but not what I expected.